'Andi Mack,' the series that has captivated kids and families, makes its season premiere with a one-hour episode Friday, October 27, on Disney Channel and the Disney Channel app. The Disney Channel, a provider of kid-driven programming currently available in 91 million homes in the U.S. and countless millions more globally, announced the second season of 'Andi Mack' will tell the story of a male tween—one of the show's main characters—on his journey of self-discovery after realizing he has a crush on his male classmate. While the network has featured gay characters before, in a single episode of both 'Good Luck, Charlie' and the animated 'Doc McStuffins', this marks the first time Disney Channel has introduced its viewers to a main character who is embarking on such a journey of self-discovery. 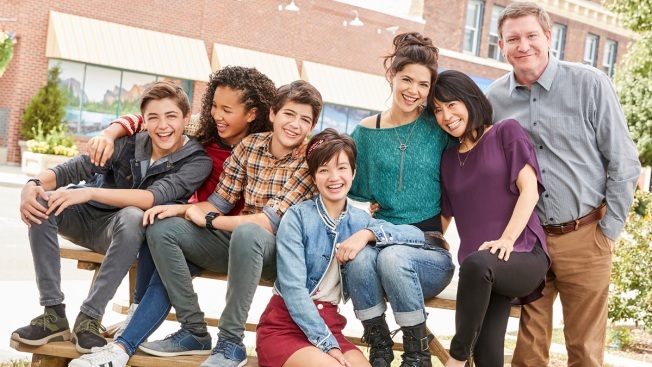 'Andi Mack', which hails from 'Lizzie McGuire' creator Terri Minsky, tells the story of the 13-year-old titular Andi (Peyton Elizabeth Lee) and her interactions with her family and her best friend Cyrus (Joshua Rush) and Buffy (Sofia Wylie). In Friday's season premiere, Andi will be wrestling with her feelings for classmate Jonah (Asher Angel) while her pal Cyrus, also 13, will come to realize that he has feelings with Jonah, as well. He confides in Buffy—the scene and Buffy's reaction are intended to serve as a positive role model for both parents and kids—even as he struggles with how to share his feelings with his new girlfriend. As the season progresses, viewers will watch Cyrus on his journey that will ultimately result in self-acceptance as a gay individual. "Andi Mack is a story about 'tweens' figuring out who they are; Terri Minsky, the cast and everyone involved in the show takes great care in ensuring that it's appropriate for all audiences and sends a powerful message about inclusion and respect for humanity," a Disney Channel spokesperson said in a statement. "Starting conversations about trust, love, relationships and family dynamics is easier when you have a show that you can relate to," Rush wrote on Instagram. "Andi Mack gives young people and their parents, mentors, and champions a meaningful way to talk about these topics and the power to decide their futures. I'm so proud to bring Cyrus' groundbreaking storyline to life and for you to see what we've been working on." Guided by The Walt Disney Co.'s written statement on its stories and characters, with its emphasis on inclusion "with stories that reflect acceptance and tolerance and celebrate...differences," Minsky and the network sought out guidance from child development experts when crafting the storyline and screened the premiere for organizations such as GLAAD and PFLAG. "With more and more young people coming out as LGBTQ, Andi Mack is reflecting the lives and lived experiences of so many LGBTQ youth around the country," said Sarah Kate Ellis, President and CEO of GLAAD. "Television reflects the real life world and today that includes LGBTQ youth who deserve to see their lives depicted on their favorite shows. Disney has been a leader in LGBTQ inclusion and there are so many young people who will be excited to see Cyrus' story unfold." 'Andi Mack' returns for season two on Friday, Oct. 27 at 8 p.m. on Disney Channel.